The Daegu City Council visited Keimyung University’s Dongsan Medical Center on Wednesday, March 26. The city council members toured the Heliport, and the VIP Ward on the 19th floor, the Health Promotion Center, and an operating room on the 21st floor after receiving an introduction on the overall operation of the facility from the head of Dongsan Medical Center and other officials from the Dongsan Hospital. Dongsan Hospital is the largest medical institution in the region with 40,228.4 square meters of land, 179,218.41 square meters of floor space, five underground floors and 1,041 beds. The new medical facility has introduced a patient-first design and medical system by quickly transferring patients to an energy-saving eco-friendly building. 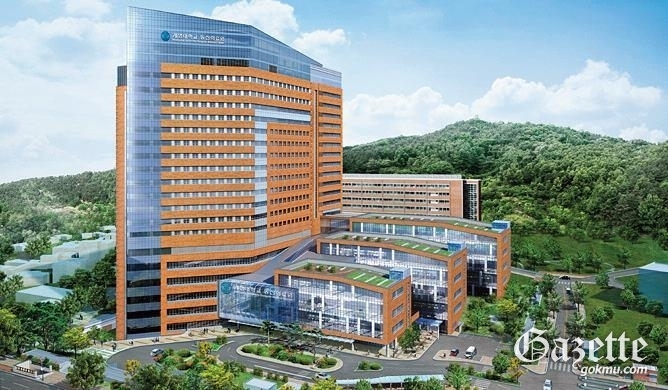 Dongsan Medical Center will open and operate beginning on April 15 of this year.